In order to be eligible for benefits, full-time faculty and staff must be hired into a permanent position working 30 hours per week. Eligible employees may also choose to cover their spouse and eligible dependents. Dependents are eligible to be covered on your insurance plans (medical, dental, vision) up to the end of the calendar year the child reaches age 26 regardless of marital status. Dependent children may be covered on your voluntary child life plan from age 14 days and continues to age 26, if unmarried. Insurance benefits will be effective the 1st of the month following your hire date. The elections you make are for the entire calendar year and generally cannot be changed outside of the Open Enrollment period. However, if you have a Qualified Life Event, as defined by the IRS, you will be able to make benefit changes. You have 30 days after the event to make your changes. Contact HR for further information. Typically the open enrollment dates for MWSU are during the month of November; with an effective date of January 1st. Contact customerservice@discoverybenefits.com if you have questions. Missouri Western provides a defined benefit retirement plan (MOSERS) for eligible employees who do not hold faculty rank as well as a 401 (a) defined contribution plan (CURP) for those employees holding faculty rank. As a part-time or full-time higher education employee, you can contribute to the Missouri Deferred Compensation 457 Plan in addition to the 403(b) options too. This allows you to potentially double your tax-deferred contributions for the year. Your contribution can be deducted from your payroll as a pre-tax (traditional) or after-tax (Roth) contribution. To participate, you must contact one of the approved financial institutions on the provider list below to establish an account. Then complete the Voluntary Salary Deferral Agreement and submit to Human Resources. Missouri Western does not and cannot provide advice about these particular companies. Missouri Western’s responsibility is to deduct the contribution from your payroll and forward it to the appropriate entity. For individuals seeking assistance, please call the helpline at (800) 624-5544 or log in to www.ndbh.com. MWSU provides dental insurance coverage to all benefit eligible employees. MWSU pays 100% of the employee’s premium. Employees also may choose to cover their spouse and/or eligible dependents under the dental plan. Dependents can be covered through the end of the calendar year they turn 26 (regardless of marital status). Employees are responsible for 100% of premium cost for coverage of a spouse/dependent(s) through payroll deduction. Deductions are made on a pre-tax basis. MWSU provides vision insurance coverage to all benefit eligible employees. Employees may choose from two plan options. MWSU pays 100% of the employee’s premium for enrollment in the Core Plan. Employees may choose to pay an additional premium for the Buy Up Plan. Deductions are made on a pre-tax basis. Employees may choose to cover their spouse and/or eligible dependents under the vision plans. Dependents can be covered through the end of the calendar year they turn 26 (regardless of marital status). Employees are responsible for 100% of the premium cost for coverage of a spouse/dependent(s) through payroll deduction. Deductions are made on a pre-tax basis. ID Cards are not provided for the Vision Plan. Your provider can view the coverage using the member’s social security number or an ID card can be printed online at www.standard.com/vision once you have logged in to the member portal. FSA – Your election amount is typically fixed for the entire plan year (unless you have a qualifying event). Any funds you are unable to submit valid claims for at the end of the claims run out period will be forfeited, so estimate your expenses carefully and set money aside accordingly. Extended Period – Participants will be able to incur expenses and use remaining 2017 monies through 3/15/2018 and submit claims through 3/31/2018. A participant has 30 days after termination (last day worked) to submit receipts that were incurred prior to the termination date. All receipts must have dates of service prior to the termination date. All expenses must be incurred prior to or on the date of termination. Medical FSA’s will be offered COBRA. When using the debit card some of your purchases can be verified electronically right at the point of purchase, so there’s no need for additional substantiation. MWSU provides basic term life and AD&D insurance through Prudential to all benefit eligible employees. Employees will have life insurance equal to 1x their annual salary. MWSU pays 100% of the premium. MWSU provides long-term disability (LTD) coverage through Prudential to all benefit eligible employees. Employees who are disabled due to a non-work related injury or illness may qualify for 60% of salary after a 180 day elimination period. MWSU also provides short term disability (STD) coverage to all benefit eligible employees who have been employed by MWSU for six years or more. Employee who are disabled due to injury or illness may qualify for 40% of salary (6-10 yrs of service) or 50% of salary (11+ yrs of service) for up to 13 weeks. All accumulated leave must be exhausted before consideration is given to short term disability assistance. Proof of disability by an attending physician is required. All regular benefits provided to employees shall continue during the short term disability period. The President has final approval of the application. Contact Human Resources for LTD and STD forms. Missouri Western provides a defined benefit retirement plan (MOSERS) for eligible employees who do not hold faculty rank. Staff hired prior to January 1, 2011 and Faculty hired prior to July 1, 2002; contributions are provided by the University with full vesting after five (5) years of service. To determine your plan membership, see the Which Plan am I In page on the MOSERS website. Missouri Western provides a 401 (a) defined contribution plan (CURP) for those employees holding faculty rank and have no prior service with MOSERS. Faculty who were hired on or after July 1, 2002 and have no prior service with MOSERS; contributions are provided by MWSU with immediate vesting. Faculty hired after July 1, 2018 and have no prior service with MOSERS; contributions are provided by MWSU and faculty are required to contribute 2% of their gross salary with immediate full vesting. TIAA-CREF is the third-party administrator for the CURP plan and manages the investment options under the plan. **After participating in CURP for six years and while still employed in a CURP covered position, you are eligible to switch to a defined benefit plan administered by MOSERS. For more information, please review the Transfer from CURP to MOSERS Brochure. More information is available at www.tiaa-cref.org/curp. Missouri Western provides employee assistance program (EAP) for employees to receive short-term counseling on issues which may adversely affect job performance. Confidential assistance is provided for a variety of problems, including alcohol and drug abuse, financial, marital, family, legal, or emotional problems. 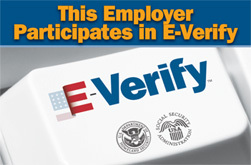 Eligible employees may receive 6 FREE sessions per incident. Most of us experience a variety of problems during our lifetime that we manage very well. However, there are times when we may have problems that affect our personal happiness, family relations, health, and job performance. If we find ourselves in this kind of situation, we may need professional intervention. The EAP is offered to employees to help them get this professional help when they need it. An employee’s decision to participate in the program is a private matter. Therefore, the nature of the problem and the progress toward a solution is strictly confidential. In some extreme cases, employees may be asked or required to access the EAP as a result of poor job performance. However, this constitutes a supervisory referral and the employee may be asked to sign a confidentiality waiver in order for the supervisor to play a more active role in the resolution of the problem. Faculty, Administrators, Exempt, and Non-Exempt Staff will receive holiday pay when the university is closed to observe the following holidays. Independence Day – If the 4th of July falls on a Saturday, the Friday before will be observed. When July 4th falls on a Sunday, the following Monday will be observed. In order to receive payment for a holiday, the employee must either work or have leave accumulation to cover the day before and after the holiday if absent. Administrators, Exempt, and Non-Exempt Staff may use a floating holiday. Missouri Western encourages employees to further their education by offering a tuition reduction program for undergraduate & graduate degree seeking academic courses. Qualified employees will receive a 100% reduction of undergraduate and 50% reduction of graduate in-state tuition; spouses and qualified dependents of those same employees will receive an 80% reduction of undergraduate in-state tuition and dual credit courses. Any fee associated with the courses are the responsibility of the student. Employees are required to complete the Tuition Reduction Application and submit to HR for approval. More details about this program can be found in the MWSU Policy Guide. Missouri Western provides Workers’ Compensation benefits to protect employees injured on the job. Work-related injuries are subject to the provisions of the Workers’ Compensation law. This coverage may provide medical treatment and payment for lost earnings. Employees should report all injuries to their supervisor and MWSU Risk Services Manager, Tim Kissock, at (816) 271-4466. Unless the injury is life threatening, the injured state employee must contact Tim Kissock to receive authorization before medical treatment. If the injury is life threatening, the employee should proceed to the nearest hospital emergency room, and contact Tim Kissock as soon as reasonably possible. All MWSU employees may use the recreation facilities by presenting employee ID. They may be accompanied by their immediate family or one guest. Dependents under the age of 16 must be accompanied by the valid ID holder. Dependents age 16-24 and spouses may obtain an ID by completing the Griffon ID form and submitting to HR for processing. Contact Recreation Services at (816) 271-4200 or www.missouriwestern.edu/student-life/recreation-services/ for more information. Non-Exempt Staff are eligible for overtime, flex time and comp time. Overtime is not to be performed at the discretion of the employee. Supervisor approval must be obtained prior to working overtime. Overtime is paid at 1 ½ times the employee’s hourly rate of pay for time worked beyond 37.5 hours a week. Comp time may be used in lieu of the payment of overtime at the discretion of the supervisor. Thank you to the following St. Joseph establishments for showing their Missouri Western pride! All faculty & staff can enjoy discounts at the following local area retailers by showing your MWSU ID. Aramark – Casual Meals discounts available for faculty and staff with the purchase of a Declining Balance Plan. Some restrictions and promotional offers may apply – available for lunch in Campus Dining Hall only, Monday-Friday. Schlitterbahn Kansas City Waterpark Discount Tickets available at MWSU Business Office. Sick leave is defined to mean any period of time an employee is absent from work due to illness, injury or any physical incapacitation without loss of normal pay. Sick leave may be used for illness of the employee or an immediate family member. Faculty: accrue 8 sick leave hours per month during their regular academic contract. Additional sick leave hours may be accrued during June and/or July if faculty teach summer school. Vacation time is time off with pay for relaxation. Vacation hours may reach an equivalent of 2 years’ accumulation. If no vacation is taken, the amount that exceeds the maximum accrual will be forfeited. Personal days are provided for use by all Administrators, Exempt and Non-Exempt Staff. New Hires will be eligible for personal days following the completion of 6-months continuous employment. Faculty, Administrators, Exempt and Non-Exempt Staff will be eligible for a maximum of three (3) working days for bereavement per fiscal year (July 1 – June 30) to be used in connection with the death of an immediate family member. Unused bereavement days will not carry forward from the previous year. Any other relative residing in the same household as the employee. All employees who are requested by proper authorities to appear as a witness or serve as a member of a jury are entitled to their regular compensation and no deduction will be made for time absent. Absence due to jury duty should be reported to the immediate supervisor; with a copy of the jury notice and absence report forwarded to HR for the employee’s personnel file.